A captivating debut about Vogue model turned renowned photographer Lee Miller, and her passionate affair with the artist Man Ray in 1930s Paris. "I'd rather take a picture than be one," says Lee Miller after she arrives in Paris in 1929. Yearning for a different life and haunted by her past, Lee leaves behind a successful modeling career to pursue her dream of being an artist. She catches the eye of the famous Surrealist Man Ray, and though he wants to use her only as a model, Lee convinces him to teach her photography as well. Man Ray is an egotistical, charismatic force, and their personal and professional lives become intimately entwined as the lines between maker and muse begin to blur.Lee's story unfolds against the sumptuous backdrop of bohemian Paris, with nights spent at smoky cabarets, opium dens, and wild parties, and days spent working with Man Ray to discover radical new photography techniques. But as Lee begins to find success as an artist in her own right, Man Ray's jealousy spirals out of control, and soon their mutual betrayals threaten to destroy them both. 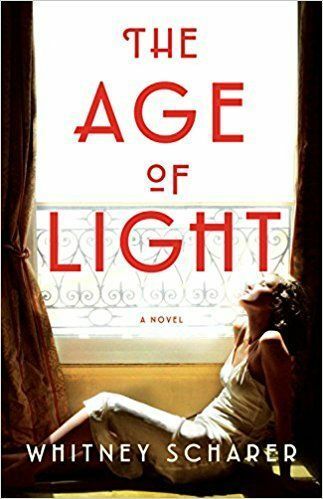 Told in interweaving timelines of 1930s Paris and war-torn Europe during WWII, this sensuous, richly detailed debut by Whitney Scharer brings Lee Miller-- a brilliant and pioneering artist --out of the shadows of a man's legacy and into the light.